At the BBC, we believe our mission is to inform, educate and connect the audiences from Africa to the rest of the world. BBC Swahili aims to deliver our journalism in a lively and engaging fashion, with a focus on interactivity and the promotion of content on social media and across all platforms. As one of our senior social media journalists you’ll have a crucial role in leading our engagement with the audience. By joining BBC Swahili, you’ll be a part of the team for a leading international broadcaster, the BBC World Service, which reaches more than 90 million people in Africa weekly on Radio, TV, Online (language sites and bbcafrica.com), Mobile and Social Media. We broadcast to Africa in seven languages: English, French, Hausa, Kinyarwanda/Kirundi, Somali, Pidgin and Swahili. We are now looking for an experienced Journalist, with vast experience in writing for social media platforms, to join the team on a 12 month fixed term contract. As a Senior Broadcast Journalist you will lead the day to day running of the BBC Swahili social media platforms and will help grow BBC Swahili’s audience reach and engagement. 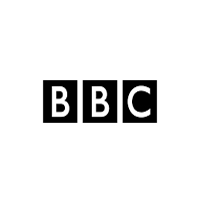 To lead and develop a fresh and innovative creative approach to curating, publishing and editing stories for BBC Swahili social media platforms. To create content for social- videos, online, gifs, pictures, Facebook lives , Instagram Stories, etc. Ensure all content published and commissioned adheres to BBC's Editorial Guidelines and commitment to the editorial aims of BBC News. · Enthusiasm, curiosity and an in-depth understanding of digital, social media and global journalism. · Experience of creating high quality copy and create assets (images, gifs, video) that can be used across social media channels in accordance with channel priorities. · An understanding of the broader digital landscape in Africa and a proven interest in keeping up to date with developments in social media. · Good knowledge of Facebook, Instagram, YouTube and Twitter particularly around posting formats and best practice, engagement and technical issues. · Evidence of sound editorial and community judgement as well as an understanding of the power of online communities. · Strong editorial judgment and a solid understanding of journalistic ethics and libel laws.